The AKB500 is Access' latest space-saving, multi-function keyboard with bi-directional inbound reading capability. This device's new OCR reading engine is more than 50% faster than its predecessors. The read camera's placement at the centre of the read slot allows for bi-directional reading within the footprint of the device, saving valuable desk and counter space. 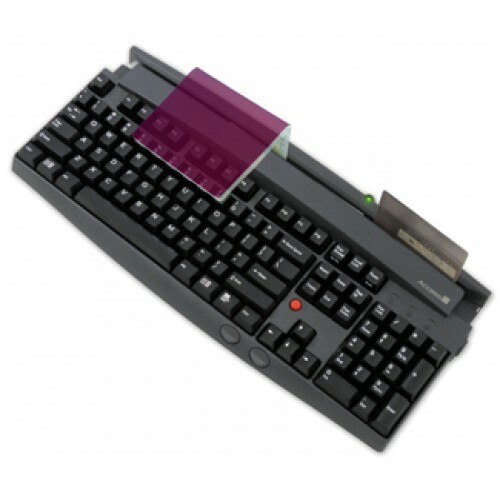 The keyboard can be adapted to add a new host or to support non-standard cards, such as loyalty or frequent flyer cards and specially dedicated formats. Please note, North and South America sales only.